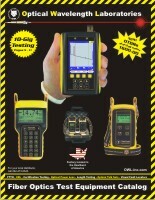 Patch cords not included with test kits. Call 262-473-0643 for more information. NOTE: Micro OWL 2 Series multimode test kits are Encircled Flux compliant when used with EF-compliant Mode Controller cables. NOTE: Patch cords are not included with OWL test kits. Please call 262-473-0643 for more information. NOTE: Products ship with owner's manuals on CD. Adobe Acrobat Reader (tm) is required to view these documents. 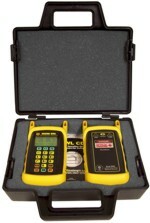 Micro OWL 2 kits offer the fiber optic professional some of the best values in the industry. 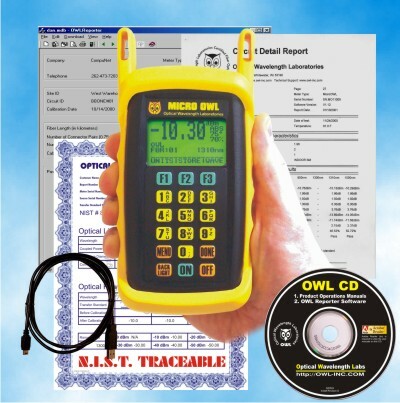 Whether performing standards-compliant testing, or just simple optical loss tests, there is a Micro OWL 2 kit configuration to meet nearly every need. Micro OWL 2 kits are now 10-Gigabit Ethernet ready. This new update allows fiber optic professionals to certify their fiber links for 10-Gigabit Ethernet, the next generation of fiber network. Micro OWL 2 kits include a Micro OWL 2 optical power meter, your choice of light source combinations, a hard-shell carrying case, protective rubber boots, and free OWL Reporter software and operations guide on USB flash drive. The flexibility of universal ports saves money on consumables (since test cables wear out over time). Physics and optics do not allow the same universal connector port to work well on any brand of light source. Hence, light sources must have fixed ST, SC, or FC connector ports. There are two versions of Micro OWL 2 kits. Our ALL NEW WaveSeries Auto-Test fiber optic test kits offer conveniences not found in many test kits in its class, including automatic wavelength switching and automatic data point storage, both of which save valuable testing time. Single-port dual-wavelength sources eliminate the need for separate reference cables, and also allow some versions to have an optional VFL installed. Need all four wavelengths? Our quad-wavelength test kit gives you 850, 1300, 1310, and 1550nm all in one source. Micro OWL 2 fiber optic test kits can also include our Dual OWL and Laser OWL line of light sources, which are offered as separate multimode (Dual OWL) and single-mode (Laser OWL) units. These manually operated sources offer an alternative for users who do not require the extra convenience of auto-testing. Products ship with owner's manuals on USB flash drive. Adobe Acrobat Reader (tm) is required to view these documents.